Espresso maker is something that makes the coffee espresso, so prior to discussion on the machine, do you what makes an espresso? In a nutshell, it is a coffee drink that is produce when you get 1.5 ounce of water, force it through a 0.75 ounce compressed coffee grounds with at least 12 bar pressure and 195 f temperature. And this espresso in order to be consider good -must comes with a crema. Of course, this is one extreme end of definition, but this is how those coffee "experts" defines espresso. For us, mere mortals, we have our budgets and taste profile, so we would choose something that suits our needs. Now, it is not possible to list down all the make and models of espresso makers that are available, but I have broke them into 2 main categories and 5 main types. Prior to that, for those that are "hunting" for espresso machines, you might have these terms on super automatic, automatic and semi-automatic. Generally, they refers to commercial espresso machines, however, these terms are also used to describe pump driven espresso machines, which we would touch on. The 2 main categories of espresso machines are those employing eletrical and non-eletrical. And within these 2 categories, you would find your Moka pots, Neapolitan filter brewer, steam powered, piston powered and pump driven espresso machines. One of the simplest way to brew espresso (in fact bialetti even has one that brews latte! ), the most popular being the bialetti, this world famous hourglass shape produces approximately 5 bars of pressure. Not ideal for the perfect espresso, but given the simplicity and ease of use, this is actually a popular espresso maker among many coffee lovers and coffee connoisseurs. Learn more about moka pots ? One of the least used and not so popular maker to brew espresso. In a nutshell, it requires one to boil the water then turn the filter brewer upside down for the coffee to steep through the coffee grounds that is packed in the "waist" of this device. It is easy to use but low availability compared to moka pots have dwindled the usage of this Neapolitan brewer. Earlier, I mentioned that those automatic espresso machines , which you all would be familiar with, click on the link to learn more about them. Under the electrical espresso brewer are 3 main segments that people are still using today. As a piston espresso machine, spring loaded and hand operated piston is the main characteristics of these espresso makers. Instead of the motor, pump and brewing switches, you have a piston that would produce the same high pressure to extract the espresso. Here is how this piston espresso machine works: cold water is poured into a chamber, and ground coffee is placed in a small container in the top of the maker. The piston is lifted up, this would draws the water above the coffee compartment, then you press the piston down, forcing the water through the coffee bed. Was popular during the 60's to 70's, now this coffee maker is making a come back due to the attractive models launched by La Pavoni espresso machine. What other types of piston espresso machines are available? Coffee snobs and critics panned this coffee maker. The main complaint being the low pressure leading to poor extraction of the coffee grounds. However, I believe that all coffee maker are designed to play a certain role in a person lives, so this machine might be great for some folks! Of course, the biggest difference between this steam and the later pump espresso maker is the price and the pressure. Steam is lower in price, however, it is also lower in pressure. Steam espresso machine usually cannot supply a pressure past 9 bars, which is insufficient to extract a good espresso. What are the steam driven espresso machines around? If you compared it to moka pots, moka pots is easier to use although it too cannot attain the desired pressure. This low pressure is one the reason why you can never get a good cappuccino and lattes from these machines. The milk steaming nozzle, is useless as the pressure generated from the small boiler is insufficient to froth the milk properly. If you are interested to know more about these machines, you can check it out at home espresso machine. If you would like to know more about the differences between the espresso drinks in the market, such as romano, cappuccino, latte and others. This is the most common espresso maker around, from bunn to saeco, everyone has a machine that is using pump driven pressure. Of course, the reason is that pump drives a higher pressure and this is critical to achieving a smooth espresso. In terms of price, they are comparable to commercial espresso machines. Although, I must add that their quality is also quite similar to commercial ones, which is good! For the pump espresso machines, you would operate the control switch to activate the pump that raises the heat in the boiler. This creates the pressure that forces the water through the coffee bed, giving you that quality espresso topped with crema. A good example for the pump espresso makers would be the krups espresso machine. There you have it, a brief run on the different espresso maker , all the best in your search! I bought this Mukka Express because it is so Cute!! Mukka express a line of cappuccino maker under the bialetti range is an easy to use brewer that does good coffee. Most people buy it because it is cute! Have you ever wonder why gaggia espresso machine is so popular? And among all its models, which is the most popular machine? What is the difference between a semi automatic espresso machine and a fully automatic one? And why capresso semi automatic machine is better for espresso? Why Do We Like Pump Espresso Machine? Many people say that pump espresso machine is better than steam driven espresso machine. 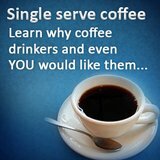 Do you why people prefers the former espresso maker? Is Breville Espresso Better Than A DeLonghi? You might have heard of breville espresso maker being better than a delonghi coffee machine, so it is true? Read this article and decide for yourself. It is no secret that gaggia espresso machine is one of the more popular espresso makers in the market. If you ever wonder this espresso brewer is so popular, read on. Is there such as a thing known as portable espresso machine? An espresso machine that provides you with mobility and convenience? 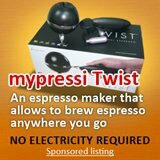 One of the easiest way to brew cafe quality espresso is to use mypressi, this is a portable espresso maker that uses NO2 to extract your espresso. Pasquini Espresso Machine Can Save You Money? No doubt that pasquini espresso machine is expensive, so would you be amazed if I would to tell you that this machine can save you money? You probably know that breville espresso machines are good, but do you know which espresso maker is better, which breville coffee machine should you choose? Getting a la marzocco machine means buying a piece of heritage of the company, a symbol that assures customers you are serving, that the espresso can be nothing but good. The la pavoni europiccola has features you cannot "See"
La Pavoni europiccola being a lever espresso machine would be seen as a machine that is extremely difficult to use to make espresso coffee, but that is actually not the case. 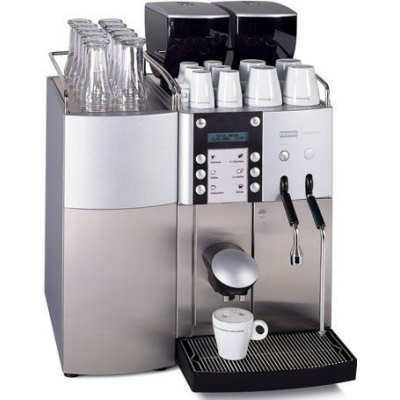 The coffee machine WMF produces though commercial has a very attractive look and feel, one of them is the Presto which in addition to looks, does very good quality espresso. It is heartening to know that there is a lever espresso machine specialist in Singapore offering la pavoni lever espresso machine. These brewers does quality espresso and looks beautiful. Why this Briel espresso brewer is a best seller! Briel espresso maker might not be as well known as saeco or other bigger brands, but its sales volume is very healthy, so why it is so popular? Best espresso machine would not be an easy search, but if you know what you are looking for, the search process is easier and one of the important variable is price -the lower the better right? Where to get good espresso machine ratings? 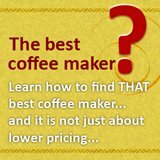 Espresso machine ratings might award one espresso maker 4 stars in one coffee maker review then 3 stars in another consumer report, so which one should you follow? It does not matter if you are running a business or using it at home, starbucks espresso machines is able to brew you good coffee, so which one should you get? Why so many cafes use Franke espresso machine? La Spaziale S1 Vivaldi 1 is not the most well known, or the cheapest espresso maker around. But, it does commercial grade espresso without the price tag. Segafredo Right in Your own Home! Thermoplan, a Swiss machine that is not for home use. Pavoni coffee machine, the Europiccola is cheaper than the professional, yet it is just as good. In this case, it is really cheap and good. Aeropress espresso maker is easy to use, is very mobile and is very cost efficient -so why do we still bother with other espresso machines! While gaggia coffee machine is not low in cost, it is what most coffee drinkers would deem as a good deal -why is that so? Breville Cafe Roma Espresso Maker Is More Than Hot. Breville cafe roma espresso maker ability to produce the right temperature for espresso is uncanning, however, it has more than that to brew great coffee! A good espresso machines review must consist of three factors. What makes a good espresso maker review? It is good if there are more information, reviews by experts or endorsement by celebrity? Simple should actually be the keyword. Stove top espresso makers are actually very easy to use. Stove top espresso makers have their following because of its mobility and its quality espresso that it is able to brew. Never buy used espresso machines if you are a newbie! If you asked me about a good commercial espresso machine, my choice would definitely be the cellini premium, wanna know why? 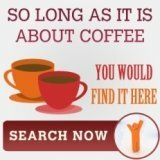 Is coffee espresso maker for less than a 100 possible? No automatic espresso machine but wants to brew great coffee? Other than showing you how to correctly choose a professional espresso machine, this article shows you how not to pay for it! Maintaining your espresso coffee machine in a tip top condition would allow you to have great espresso, but how do you do it? Do not do espresso machine review before reading this! Many folks delve into espresso machine review seeking the perfect machine, only to be disappointed, this article might help on that. Delonghi espresso machine looks like your average espresso machines, but its a very easy to use function. Elektra espresso machine pulls you a great shot of espresso! This elektra espresso machine is not bulky commercial machine but a sleek and pretty looking spring piston lever machine. Faema espresso machine is good but it is so big -are you sure? Blue lavazza espresso machine has 3 arguments why you should have it! Starbucks espresso machine 3 exciting pointers on why you should get it! If you do not like Starbucks coffee, this starbucks espresso machine might change your idea of the coffee chain. The machine is amazing! I am sure there are espresso makers that is not featured here, tell us about it, we want to know about it! Or, write in about your own unique experience with any espresso machines.